Random length trim may vary in length between 6' - 12' with an overall average per piece of 8' plus. This package is sold in increments of 50LF after initial 100LF order. Please call for special pricing on orders over 1,000 lineal feet. Minimum order is 17 pieces. Please call for special pricing on orders over 1,000 linear feet. Minimum order is 13 pieces. Please call for special pricing on orders over 1,000 linear feet. Minimum order is 10 pieces. Please call for special pricing on orders over 1,000 linear feet. 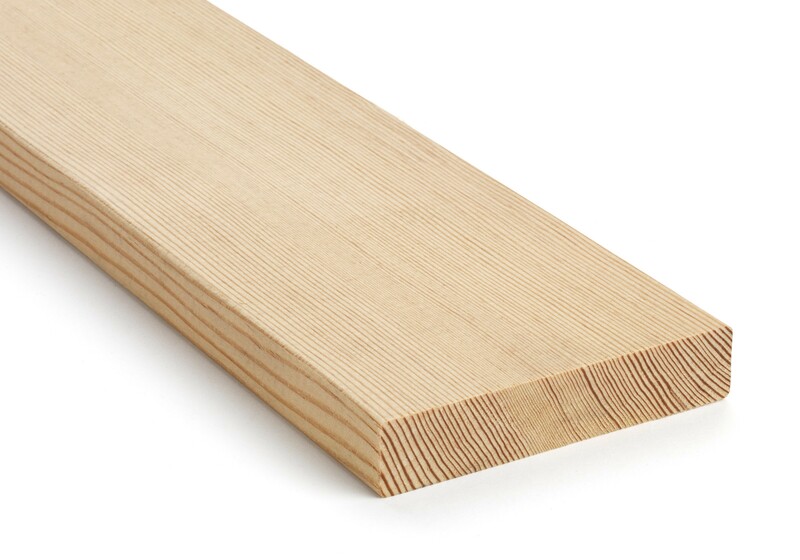 1" x 4" CVG Douglas Fir Trim is available for purchase in increments of 100.